Krinkle Debris Tracker is an automated debris management system (ADMS) designed to help monitoring companies and jurisdictions prevent fraud, control their data, and quickly audit and reconcile after a major disaster. Krinkle Debris Tracker meets and exceeds all the FEMA data tracking requirements during the debris removal mission. 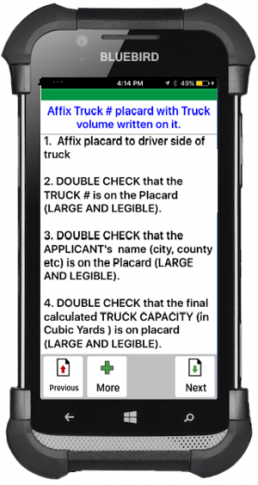 Our application acts as a step-by-step guide for every monitor, recon team leader, truck certifier and more. Simplify and speed up the FEMA reimbursement process. Our advanced system incorporates all of FEMA’s documented best practices, forms, and processes from the official FEMA-325 and the PAPPG documents. Keep your data organized, accurate, and up-to-date. View every aspect of the water debris mission, land debris mission and leaners, hangers, and stumps on Google Earth at the click of a button. 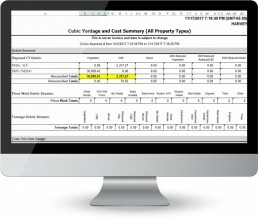 These valuable reports can be easily shared with your jurisdictional customers as a representation of work being done. Whether you’re a monitoring company or a self-monitoring jurisdiction, our software will instantly provide all the relevant and necessary geospatial and summary reports you will need. Our variety of useful reports will track ongoing progress of every aspect of the project and calculate payments associated with the debris removal effort. Our system will give you the ability to run progress reports, daily and cumulative, including a variety of reimbursement reports and fraud detection reports. Krinkle Debris Tracker does not require a mobile printer in the field. Mobile printers are prone to failure and are a hassle. With mobile printers eliminated from the process, equipment failing in the field will not be an issue. 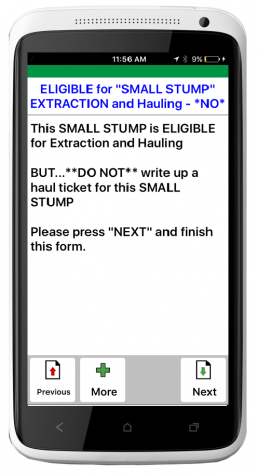 Our approach is the use of a mobile device or tablet, partnered with pre-printed haul and cut and extract tickets. This combination ensures work in the field will not be interrupted by a failing printer. The pre-printed tickets are convenient to carry and are each printed with a unique barcode that can be scanned with your mobile device’s camera and associated with the details of the effort. A COMPETITIVE ADVANTAGE FOR YOUR MONITORING CO.
Having an ADMS system is essential in winning jurisdictional contracts and debris monitoring Request for Proposals (RFPs). Krinkle Debris Tracker will give your company the competitive advantage needed to start winning RFPs as the prime contractor. In addition, we offer full support with your Request for Proposal (RFP) responses by providing a white paper, mobile and PC screenshots, and images of our reports. Krinkle Debris Tracker doesn’t just track debris, it also allows monitoring companies and/or jurisdictions to enter all the specific payment terms per contract. This gives you the ability to easily see what is owed and who it is owed to at any point in the mission. 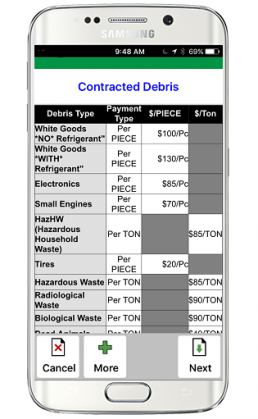 Payment terms between debris removal companies and their clients can be highly variable and incredibly complicated, but our software keeps track of those terms and simplifies the calculations. Nearly every combination of payment possibilities can be entered into the system and amounts owed can be calculated and reported on instantly. The time saved by instant “payment due reconciliation” cannot be overstated. Reconcile with your debris removal companies, at any time, with the touch of a button. Krinkle Debris Tracker automates, manages, and tracks the entire debris removal process. Keep track of debris removal contractors, their trucks, and their employees right in the software. You can certify trucks, no matter the shape, size, or complexity. 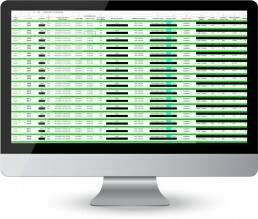 Keep track of monitors and identify those monitors by their unique roles. 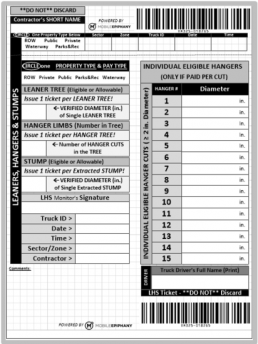 Our application will act as a step-by-step instructional guide for monitors and employees. Our system also allows you to keep track of all unique payment terms on a contractor-by-contractor basis. Calculations of money owed to both debris removal contractors and monitoring sub-contractors can be created at the touch of a button. When it comes to debris removal, there are many unique roles and different processes per role. Our comprehensive system recognizes this and will produce a unique app flow based on the role a worker logs in with. The chart below outlines the user roles already built into the system and the capabilities those roles have within the Krinkle Debris Tracker application. After a major disaster, debris removal can take months. Debris removal can produce countless data records that need to be input into spreadsheets. This task is time-consuming, costly, mind-numbing, and prone to human error. Bad or missing data is often the result. Krinkle Debris Tracker eliminates hours of redundant and erroneous data entry. 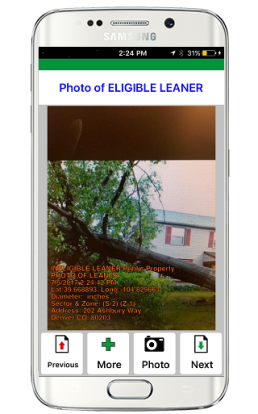 All the debris data from the field will be captured electronically, via the user’s mobile device or tablet, and will be automatically transferred back to the reporting system. Trying to keep track of critical data on paper will not be an issue and reports will be instantly available. Hurricane zones and other disaster areas are not known for their available cellular networks. Destroyed cell towers can be down for weeks and connectivity is often unavailable in the field. 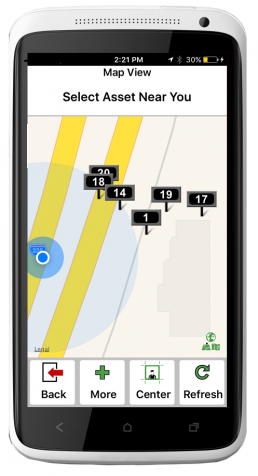 Krinkle Debris Tracker app can work for hours without a network connection. A connection to a network is only needed once every day or two. The Krinkle Debris Tracker software suite includes everything your company needs to monitor, track, and report on the debris removal processes throughout a mission. You will only be charged when monitors are actively using it during live projects. Training on the system is included in the initial setup fee. *prices do not include shipping and are subject to change. 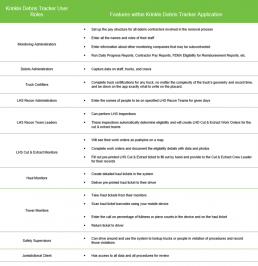 The pricing philosophy of Krinkle Debris Tracker is based on simple, hourly based billing and a one-time account setup fee. Only pay for the users that are using the app, with no monthly subscriptions or additional licensing fees. Software-as-a-Service always includes all end-user support and all software updates are included. Our sophisticated smart forms, in coordination with our workflow capabilities, keep your projects organized and moving forward. Any additional customization requests are also readily and inexpensively available, but are rarely needed. The system is already comprehensive. Finally, our application can be used from the device you already own or we can offer you hardware options for purchase or lease. 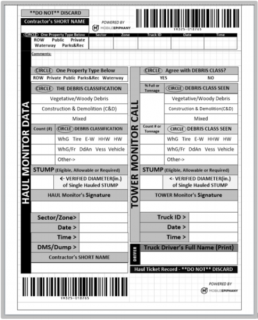 Contains all the required smart forms, guided process flows and unique user role applications needed for managing debris removal tasks requiring data collection and data reporting. Our smart forms were developed in cooperation with debris removal and monitoring company subject matter experts (SMEs). No limit is placed on the number of devices running the mobile app. 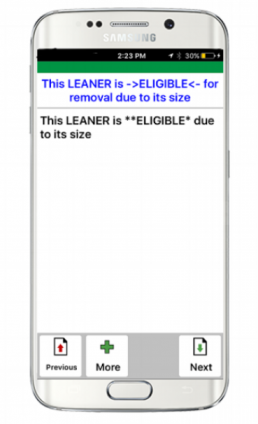 Download the application on as many devices needed. Sometimes formal reporting output is not what users are looking for. Data Explorer is a quick way to view, sort, and filter the data as soon as it comes in. This allows users to view data and get answers to questions they may have in ways that pre-existing reports may not. Data Explorer is a simple-to-use, valuable PC tool that allows managers and administrators to easily review and organize all the data coming in from the field. Build and run custom searches with minimal training. Sorting, filtering, and exporting data to excel for any purpose is easily achieved by all administrators of the data.